For the first time ever, Apple has pushed out a security update to all of its Mac customers automatically, without seeking prior approval first. 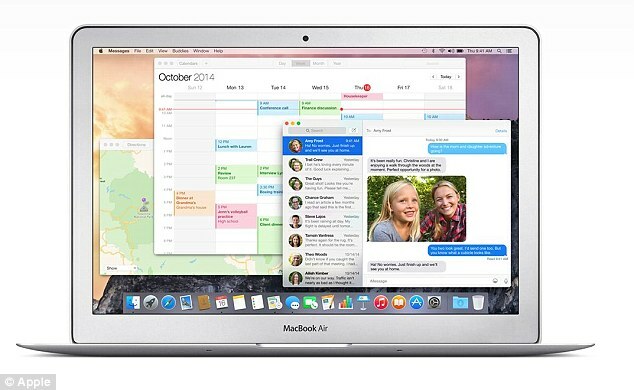 A number of severe bugs were recently discovered on its OS X operating system that left it at risk of hackers. Although Apple has had the technology to automatically update people’s computers for years, it typically asks a user’s permission before installing security updates of this kind. A number of severe bugs were recently discovered on Apple’s OS X operating system (pictured) that left it at risk of hackers. Although Apple has had the technology to automatically update people’s computers for years, it typically asks a user’s permission before installing security updates of this kind.